Is it good to mix fat burners and pre-workout supplements? The supplement industry can get very complicated; there are a lot of products being offered left and right, and you’re left with the power to choose – and choosing isn’t easy at all. Supplement manufacturers and marketers would have you convinced that you need to buy one and all of their products to ensure that you get in your top form, but do all these claims make sense? Fat burners are one of the best-selling supplements in the market today. These supplements are designed to help you reduce the amount of fat in your body to help reveal your sculpted and toned muscle underneath the layer of fat. Fat burners are used by both men and women who are going through the cutting phase of their fitness cycles. Fat burners are usually loaded with stimulants to help utilize your energy sources better. Your body’s primary energy stores are your fat cells and stimulants help activate your fat cells to help you utilize your stored energy, and burn fat effectively. These stimulants affect your heart rate, your alertness, and a number of your other bodily functions. Pre-workout supplements are primarily used for one purpose – to get you through your workouts in one piece. Pre-workout supplements are loaded with ingredients designed to help you increase the energy levels in your body to power you through your workouts. Pre-workout supplements are at times loaded with nootropics to help improve your focus during workouts, and also to induce a positive and satisfied feeling when working out. The issue with fat burners and pre-workout supplements is that they both typically contain stimulants. The most common stimulant in fat burners and pre-workouts is Caffeine. More often than not, these fat burners and pre-workout supplements contain the caffeine equivalent of 3 cups of brewed coffee or more. Using both pre-workout supplements and fat burners would have you consume about 400-500mg of caffeine, which would greatly increase your risk of experiencing caffeine side effects. The trouble with fat burners and pre-workouts do not stop on caffeine alone. Some stimulants are also included in the formula, which might adversely affect the user if stacked with other supplements. Watch out for supplements with ingredients like Synephrine, Ephedra, Ephedrine, Aspirin, Yohimbe, and many more. These ingredients are effective in single doses, but when taken with another supplement, it can yield problematic consequences. Always check the supplement profile of the supplements that you are taking. 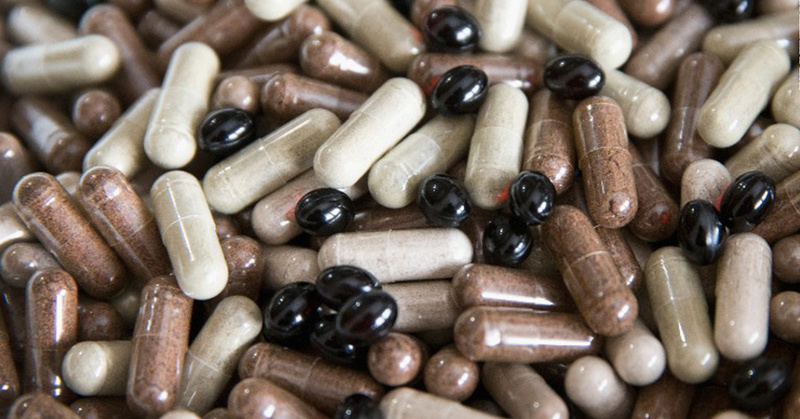 Make sure that no other ingredient appears on the supplement profile of another supplement. It’s also healthy to read up on the best fat burning pills and the best muscle building supplements to know their core ingredients. Identify vasodilators like Yohimbe, L-Arginine, L-Citrulline, and Citrulline Malate. Identify stimulants like Caffeine, Synephrine, Ephedrine, and Ephedra. As much as possible do not take two of the same kind unless specified by a licensed nutritionist or your physician. Do you need to worry about high estrogen levels?